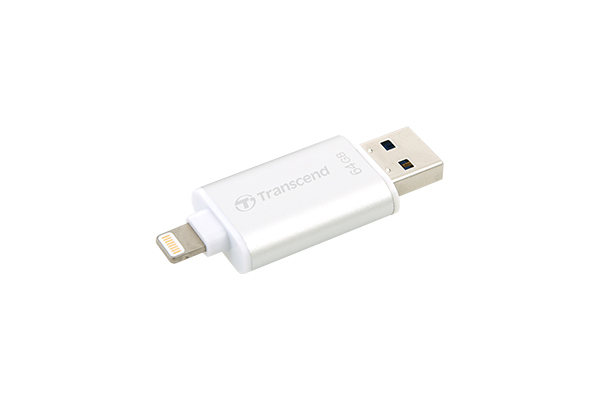 Running out of storage space on your iPhone® or iPad®? 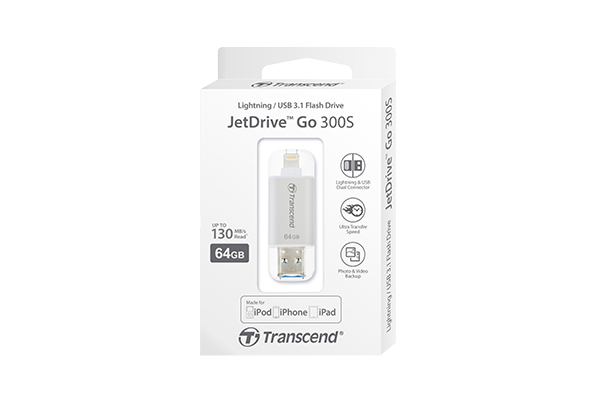 Transcend's JetDrive™ Go 300 Lightning/USB 3.1 flash drive is designed to expand your iPhone, iPad or iPod® storage by up to 64GB. With the exclusive JetDrive Go App, you can effortlessly explore, move, back up and manage photos and videos between the JetDrive Go 300 and your iOS device.